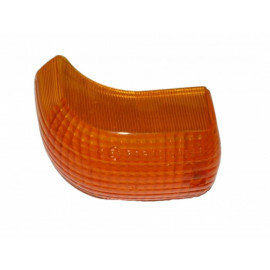 Additional headlights for motorcycles are wide-beam, low-mounted headlights, which provide better visibility at dusk, in foggy conditions, when it is raining or at night. 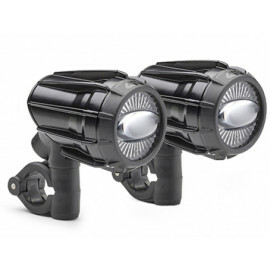 Auxiliary motorcycle headlights also help to make a motorcycle more conspicuous and visible to other vehicles and drivers sharing the road. 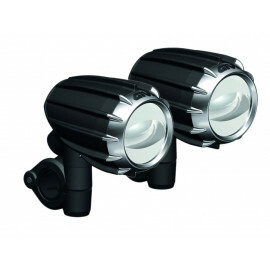 However, the real purpose of additional motorcycle headlamps is their use on off-road tours. What if you are on an off-road tour, it gets dark but you haven’t reached your destination yet. Extra headlights would help you to navigate, by casting a wide beam, clearly illuminating all objects in a half circle around your motorcycle. 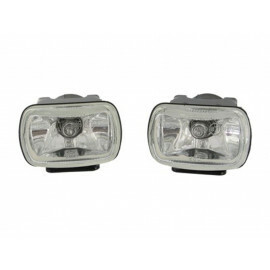 Motorcycle headlights are supplied model-specific (e.g. 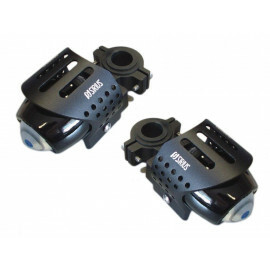 for BMW R1200GS) or with universal mounting gear. Normally, an assembly instruction and - if necessary - ABE (Vehicle Type Approval) are also included in the delivery. Auxiliary motorcycle lights are not only an additional light source, but also make Enduro bikes look even more impressive. 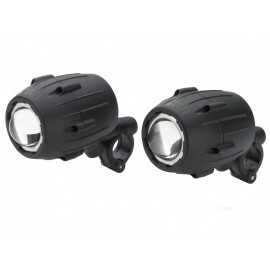 This type of headlight also gives your bike an all-terrain look. Looking for extra motorcycle headlights? Why not choose ours? Moto24 stocks headlights that not only increase your range of vision bus also your visibility to the on-coming traffic.